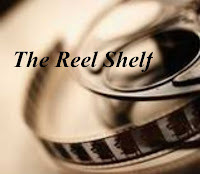 Description: Paula Young Shelton, daughter of Civil Rights activist Andrew Young, brings a child’s unique perspective to an important chapter in America’s history. Paula grew up in the deep south, in a world where whites had and blacks did not. With an activist father and a community of leaders surrounding her, including Uncle Martin (Martin Luther King), Paula watched and listened to the struggles, eventually joining with her family—and thousands of others—in the historic march from Selma to Montgomery. Review: Shelton provides younger readers a picture book that entails the complexity of the Civil Rights Movement in a straight forward picture book written in a simple, clear way without dumbing it down. When the author was a child, her father, Andrew Young, was a leader in the Civil Rights Movement. Her first picture book beautifully recounts her childhood during those tumultuous times. Shelton explains her very first protest when she cried during a sit-in with her family as restaurant owners refused to seat them, which clearly demonstrates and sets the tone of the harmful effects of segregation. Shelton also recalls how the movement united its leaders and activists such as Martin Luther King Jr. became a part of her family that all strongly believed in the common goal of equality and justice. 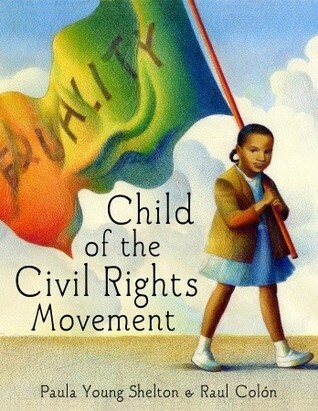 Despite the hardship faced by the activists during the Civil Rights Movement, the picture book retains its positive tone. The illustrator's choice of vibrant watercolors further emphasizes on the optimistic viewpoint. The picture book does a great job in bringing history to life. I also appreciated the author's note in which she explains that she doesn't remember all the details of various conversations but drew on her family's shared memories. Also included at the back of the book is information about the leaders who are mentioned in the picture book. Words of Caution: None. Recommended for Grades 1-3. Description: At the end of his career, Dr. Carlos Montezuma tells his life story in the form of a letter that the author has pieced together from his writings: As young Wassaja, he was kidnapped from his Yavapai tribe by the Pima, a long time enemy of his people. They sold him as a slave and in 1871 he was purchased by Mr. Gentile, an Italian who actually made his living with an early camera. Together they traveled the nation, taking pictures all the way. Wassaja, now renamed Carlos, eventually enrolled in school in Chicago where he thrived despite difficult circumstances, eventually graduating from the University of Illinois, and Chicago Medical School. He devoted his life to lobbying on behalf of his people. Review: I happened to stumble upon this book while browsing the children's collection at my public library. The title grabbed my attention right away as I never heard of Dr. Carlos Montezuma before. 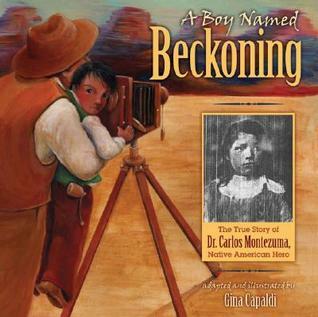 The author uses Montezuma's own words to tell his gripping story as a Yavapai boy who was captured by the Pima and sold into slavery in 1871, bought and raised by a kind Italian photographer, and grew up to become a prominent doctor and Native American spokesperson. Montezuma was a gifted learner and graduated from the University of Illinois at the age of 17. After becoming a doctor, Montezuma searched for his parents and siblings and learned the sad truth about their lives and deaths. He also spoke against the ill treatment, harsh living conditions, and prejudices against Native Americans by the U.S. government. A full-page author's note addresses "Dr. Montezuma-The Activist," including his "Let My People Go" speech to the U.S. Senate in 1916. I learned quite a lot from this book and after I finished it I had to do some research of my own because I was so captivated by this story. The illustrations are great and layered with actual photos combined with pictures that offer multiple perspectives and rich in gold and brown tones. The side panels on the page offers additional information and provides context to the story. This would be a good starting off point in looking into the complex and intricate relationship between Native Americans and the United States. Words of Caution: There is mention of slavery, violence, and death. Recommended for strong Grade 4 readers and up. Both books sound powerful and informative and educational for younger readers. Thanks for putting these on my radar. Wow. What a great idea to occasionally peruse the books in the children's section of the public library. You found some gems. I love books like these which draw on real lives. I've heard of Montezuma's speech but haven't read it. Now you have me curious! !